Fallout: Cascadia is a mod project for Fallout 4 that aims to create an entirely new story for the game in Seattle. Cascadia first surfaced a couple years back, and like all ambitious fan projects inspired by Bethesda games, progress ebbs and flows. This week, however, the team released an official teaser trailer that gives an overview of the open world they’ve created and what makes it look distinct from the series’ previous apocalyptic settings. Modern Fallouts have mostly stuck to Eastern North America, with the exception of New Vegas. But even Obsidian’s spin-off didn’t reach the West Coast. In taking on Seattle, Cascadia adds a unique twist to the usual Fallout aesthetic of dull blues and muddy greys with a combination of sunlight and revitalized plant life that makes it seem almost hopeful. Set several decades after the events of Fallout 4, Cascadia’s creators told me they wanted to explore a less grim side of Fallout, a goal that comes through in the trailer where nature exists alongside the ruins of human civilization and the mutated life now inhabiting it. “The biggest difference and what truly makes us unique in visual atmosphere is the vegetation,” Dr. Weird, the mod’s director of implementation, told Kotaku in an email. “We wanted to create a world where nature shows subtle signs of having returned to a more natural order.” This means towering green conifers, building facades covered in vines, and smaller ferns and saplings scattered about the broken earth. As a total conversion mod, all of Cascadia’s textures and assets have been retouched in some way, but most of the foliage is being made entirely new by the team. Of course, building an entirely new map from scratch is also a challenge. 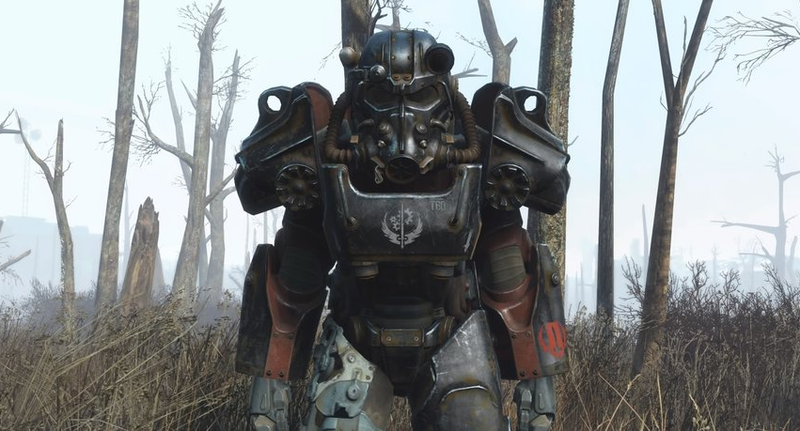 The Cascadia team is promising an area of 80 square kilometers for players to explore that will be completely separate from Fallout 4’s Boston. Even though the mod requires owning a copy of the base game to work, it won’t be an expansion or connect back to that story at all. The goal is for it to be a standalone adventure. The release of the latest trailer showing off this new map marks the end of pre-production and the start of the heavy lifting. The team started work on building Cascadia’s world by compiling albums of photos taken while scouting on location in Seattle, then moved to concept art for each of the key areas, including the Republic stronghold to be located in the city. They are now creating the actual assets and level designs for all of them, said Flenarn, the mod’s project lead. Screenshots from the Fallout: Cascadia mod released over the past year. “I would say our project is closer to an actual studio production with actual deadlines for certain parts of the project and that helps us keep not only afloat but progressing like a train on steroids,” Dr. Weird said. Daily screenshots and mockups turned around in a week’s time have given him and other people associated with the project some confidence that it won’t become one of those Bethesda mods that spends years stalled out only to eventually be abandoned. That said, the completed mod is still a couple years off. Anything could happen during that time, including DMCA strikes from Bethesda.